Sometimes our plans are not God’s plans. As we shared in February 2017 about the water system for Janet and Edgar, we had high hopes it would be completed by the beginning of April. However, that did not happen. 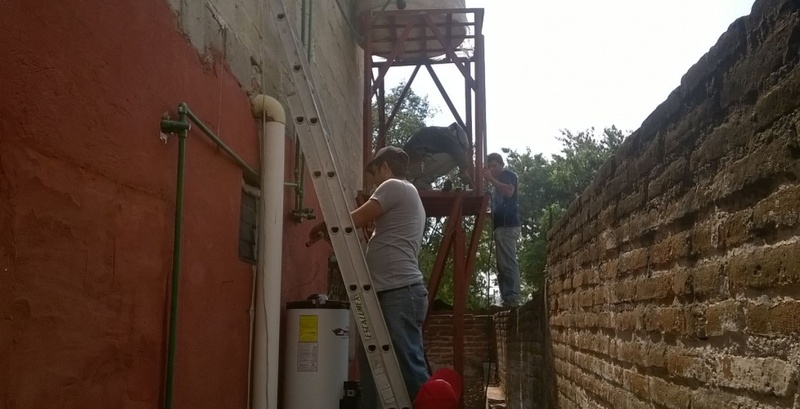 God was preparing Abelardo, member of Iglesia Biblica Pueblo de Esperanza, to step in and lead this project when our other plans didn’t work out. Praise God with us for these results. Believers hearts were changed: The members of this church really wrestled with identifying “which method” was best to use when building this water system. In the end, opinions were set aside to join in unity to share the gospel and serve this family. Prayers of the mother answered: The matriarch of this family had been praying for years that her kids and their families would trust in Jesus. They have not yet trusted in Jesus, but they were amazed that Christians would reach out and help them in their time of need. Praise God for an open door for the relationship to continue to be built, and pray for their salvation.